Prepare and maintain the environment for the hands-on exercises - including VM images, physical machines at CERN, firewall openings, web server etc. Provide tools for, and perform or contribute to various important tasks, such as generating the booklet, preparing the exam, checking exam results, and producing feedback report. Maintain CSC computing infrastructure (website, storage space) and preserve data repositories of past schools (e.g. alumni database and photo archive). There are three schools organized every year: the inverted CSC in March at CERN (3-4 days), as well as the two schools outside of CERN: the Thematic CSC in May/June (one week), and the main CSC in September (two weeks) - held in a different country every year. This position requires being physically present during the three schools per year (including the two remote ones), and additional 1-2 short travels per year to prepare future schools. If you are computer engineer proficient with various technologies and happy to learn others; can travel a few times per year (for the two schools organized outside of CERN, and in addition 1-2 short travels to prepare future schools) and work outside of your office; and are happy to meet new people and get involved also in the social and sports aspects of the schools, then we hope to hear from you! Please do not hesitate to contact Sebastian Lopienski (school director), Joelma Tolomeo (the administrative manager) or Nikos Kasioumis (the technical manager) to learn more about this position. This opportunity does not necessarily imply a change of group. production of associated documentation and procedures. Demonstrated experience in the field of VoIP technologies. Demonstrated experience in the field of complex systems integration. Proven expertise both on security operations (DFIR, threat intel) and security infrastructures design (SOC, EDR, big data solutions) as well as experience on computer, network or software security, and, preferably, as computer system administrator. Strong communication, presentation and collaboration-building skills are essential. Experience with user relations, user support, and user training. Technical engineer (Grade 5) position in the IT-ST-FDO section; FDO supports most of the storage services in the IT department: EOS is at the centre of physics computing (notably LHC data taking) and Ceph provides the backbone of the IT cloud and support for mission-critical services (e.g. S3, Puppet ). Out-of-working-hours interventions to respond to critical tickets may be necessary by FDO section members. AFS replacement project, notably preparing, using and supporting data transfer tools and metadata (ACL) checking procedures. The Service Management section within the IT Computing Facilities group provides support and tools for adoption and usage of ITIL best practices for the management of all services the department offers. The successful candidate will take a leading role for the operation and maintenance of the CERN ITSM tool (ServiceNow). The candidate will also take technical responsibilities for the cross department collaboration (IT-SMB) concerning the evolution and future usage of the tool. Experience with a modern ITSM tool and a very good understanding of ITIL or similar best-practices framework for Service Management. Practical knowledge of a software development life-cycle concept. Extensive knowledge of scripting languages, web services, software development processes and techniques. Very good understanding and experience with relational database technology. Porting/software integration: understanding the principles of incremental and logical integration of components in order to create operational services. Testing: understanding of the concurrent lifecycle process of engineering in order to measure and improve quality of software. Familiarity with User and service support. Experience with team work and collaborations. The Linux and Configuration Services section within the IT Computing and Monitoring group provides Linux operating engineering and tools for over 50,000 servers across CERN. The team is looking for an experienced computing engineer to maintain and evolve the operating system services and tools for Linux based systems across a wide range of uses and technologies. Furthermore, the successful candidate will collaborate with upstream open source communities to enhance these solutions to meet CERN's needs, tracking issues and supporting the delivery of these improvements for CERN's user communities. Take part in the support and development of the services in the section including configuration management solutions, installation services, Elasticsearch, load balancing and Interactive Logon Services. The Facility Planning and Procurement (FPP) section is looking for an experienced computing technical engineer who will be given responsibility for installation, testing and hardware support of servers and storage system equipment in the CERN data centers. The function may also include providing hardware support to experiments and other departments using similar equipment. In particular, the successful candidate will run the technical acceptance testing process on IT servers and storage as well as proceed with the subsequent allocation to services; monitor the correct functioning of equipment, following up on hardware incidents and investigate hardware technology problems, enhancing part of the management and monitoring system; contribute to the section's software developments for the automation of the technical acceptance process and its integration with Openstack Ironic; provide support on hardware related incidents and follow up with contractor and manufacturers as appropriate; perform a regular market watch and meet with major ICT companies to follow market developments and new trends in the area of IT servers and storage technologies and evaluate their relevance to CERN. Contribute to the section’s software developments related to the hardware lifecycle management and monitoring. IT/CF is looking for an experienced computing engineer to join our data centre operations team to work on the data centre infrastructure management (DCIM). The efficient management of our rack-level electrical distribution and cooling infrastructure is crucial for meeting the demanding needs of LHC and in particular for the preparation of a huge capacity increase anticipated for Run 3 (2021). To that end we are looking for a skilled software developer and architect, ideally with some experience from telemetry and control of large computing hardware infrastructure and rack level power distribution devices, to review the existing tools/automation and propose a functional overview of a new approach. In a second phase the successful candidate shall also investigate, together with Openstack experts in IT-CM, the possibility of automating workload placement with respect to electrical power availability, e.g. geographical zones where significant amount of persistent stranded power has been detected. In parallel to this project a technology review of commercial DCIM solutions shall be performed, including testing of the more promising products, with respect to our existing infrastructure limitations and needs and produce a detailed report on how to proceed based on evolution of the existing tools and/or integration of a commercial DCIM system. The successful candidate will then perform the definition, implementation, testing and maintenance of the specific controls and monitoring infrastructure (whether home-grown or commercial) of the data centres. In addition, he/she shall develop quality assurance and device management methods and procedures to improve the overall efficiency of running the data centres. The ideal candidate shall be able to work independently through deep dives and expert analyses. - Working experience with container-based technologies, orchestration and platforms (e.g. Docker, Kubernetes, OpenShift) is a plus. Should you be interested in the position, please contact Gyorgy Balazs. Should you be interested in the position, please contact Thomas Baron. CERN IT will lead a recently approved Horizon 2020 project, called ARCHIVER, that will combine multiple ICT technologies in a hybrid cloud environment spanning on-premise and commercial cloud services to deliver end-to-end archival and preservation services covering the full research lifecycle. ARCHIVER involves a consortium of 6 partners (CERN, DESY, EMBL, IFAE, Addestino, TRUST-IT), with a budget of approximately 5M euros. The project, which starts in January 2019, is looking for a technical coordinator to engage with the stakeholders to address the challenges that will evolve throughout the project’s lifetime. This role offers an opportunity to be part of a small project management team working with leading research organisations and commercial cloud service providers to deploy use-cases from high energy physics, life sciences and astronomy. A lot of energy, a proactive approach, a sense of humour and a thick skin. Frequent travel within Europe is required. The successful candidate will transfer to EFP section of DI group to become a member of the project management team and report to the project leader, João Fernandes. Undertake sample evaluations in the tender process. Perform hardware problem management of systematic issues and provide support for server and storage hardware procured by the team to IT services and external stakeholders in experiments and other departments. Perform technology tracking, R&D and benchmarking of new products. Contact: The Cloud Licence Office is reachable via https://cern.service-now.com/service-portal/function.do?name=it-cloud-licence or “cloud-licence-officer@cern.ch”. Il y a une tendance générale à l'externalisation des services informatiques à des fournisseurs tiers via le World Wide Web. Faire appel aux services de fournisseurs de nuages (cloud services) peut en effet s’avérer plus économique que l'hébergement sur site, ce qui peut présenter un certain intérêt pour le CERN. Toutefois, certains aspects de la « politique d'utilisation acceptable » des services en nuages liés à la confidentialité, à la protection et à la propriété des données, et à la sécurité doivent être soigneusement évalués, et la localisation des données se doit d’être conforme aux privilèges et immunités du CERN. Le bureau des licences de services informatiques en nuages (Cloud Licence Office, CLO) a été créé pour prodiguer des conseils sur l'achat et l'utilisation des services en nuages par les membres du personnel du CERN : il évalue si certaines conditions sont défavorables et si les risques globaux sont acceptables pour l'Organisation, et autorise l’achat et l’utilisation de ces services à l’échelle de l’Organisation. Le CLO travaille en étroite collaboration avec le groupe Achats et services industriels (IPT-PI), l'équipe de consultants en informatique et le bureau des licences logicielles (SLO). Au besoin, il assure la liaison avec le responsable de la sécurité informatique (CSO), le bureau de protection des données personnelles (ODPP) et le service juridique. Nuages d'entreprise : ils nécessitent l’établissement d’un contrat avec le CERN à la suite d'une consultation préalable et de l'approbation du CLO. Dans ce cas, veuillez consulter les informations et les documents disponibles sur la page « Questions to Enterprise Cloud providers » (en anglais) avant de contacter le CLO. Nuages ​​publics : ils peuvent être utilisés sans l’établissement d'un contrat avec le fournisseur de services si les critères suivants sont respectés : les données protégées par le CERN ne sont pas concernées, les restrictions sur les données confidentielles sont strictement respectées, il y a possibilité de rapatrier toutes les données du CERN sur site ou sur un autre compte si nécessaire. L'utilisation de nuages publics est autorisée à condition que le service soit enregistré dans la liste des nuages publics certifiés par le CLO. Pour être ajouté à cette liste, un nuage public doit avoir rempli de manière satisfaisante l'auto-évaluation des nuages ​​publics au CERN (en anglais). Contact : Vous pouvez contacter le Cloud Licence Office sur : https://cern.service-now.com/service-portal/function.do?name=it-cloud-licence ou en écrivant à cloud-licence-officer@cern.ch. Research and development of new cloud based infrastructure and platform as a service capable of hosting CERN applications. Collaborate with CERN openlab industry partner (Oracle), present work results in conferences, publish papers explaining your work. Migration of production CERN Java applications to Kubernetes (OpenStack Magnum). Design solutions for cloud based disaster recovery solutions for CERN applications and databases. Encourage adoptions of new cloud based technologies amongst CERN developers. Evaluate security constrains of proposed solutions. Study innovative approaches for Java application Cloud deployment, design and evaluate the use of external providers as means of provisioning CERN applications. Investigate technologies that help improve efficiency of hosting solutions. Share domain and technical expertise, providing technical mentorship and specific training to peers. The Applications and Devices section manages server infrastructure for over 800 servers, supports 10,000 devices such as desktops, laptops, tablets, smartphones, screens and printers and provides over 100 applications including tools for mechanical engineering, mathematics and electronic design automation, as well as general productivity applications, anti-virus and configuration management tools. Provide and support commercial applications, including electronic design automation tools for FPGA design (ex. : Intel Quartus, Xilinx Vivado) and structural analysis and field calculation tools (ex. ANSYS, COMSOL, CST) and provide engineering tools for a High Performance Computing environment. Initial experience in deploying micro-services based on Docker. System software administration competency and scripting for Windows and Linux. Knowledge of PowerShell. Knowledge of at least one of the following: Python, C#. Knowledge and experience in designing FPGA-based electronics will be considered an advantage. The FDO section is currently managing more than 1,500 servers with more than 60,000 disks, representing about 300 petabyte of raw storage, most notably the EOS and the Ceph services for CERN and the Worldwide LHC computing Grid (WLCG) community. EOS is at the centre of physics computing (notably LHC data taking) and Ceph provides the backbone of the IT cloud and support for mission-critical services (e.g. Puppet, GitLab, CERNBox and others), so out-of-working-hours interventions to respond to critical tickets may be necessary by FDO section members. Expert database administrator (Oracle RAC) through multiple product lifecycle environments, from development to mission-critical production systems. Additional experience on different DBMS such as PostgreSQL and MySQL would be an asset. Configuration and support of database platforms: architecture, evolution, migration, upgrades and patches, including monitoring of system health and performance, to ensure high levels of performance, availability, and security. Consultancy, assistance and advice to end users, including database design. Development of software modules following IT-DB guidelines and projects needs. Sharing domain and technical expertise, providing technical mentorship and training to peers. As part of the monitoring team, the candidate would be involved in designing, developing and deploying a new unified monitoring and alarms infrastructure that is progressively replacing the IT and WLCG specific solutions. This unified monitoring covers all phases of the dataflow such as collecting metric and logs, live online data streaming, large-scale analytics and comprehensive alarms. This common dataflow is based on established open source solutions such as Collectd, Kafka, Spark, ElasticSearch, InfluxDB and Grafana. This position gives the opportunity to learn state of the art monitoring, streaming and storage technologies and their application to provide reliable and scalable monitoring solutions for CERN and the WLCG. Proven experience in software development, knowledge in the core technologies and commitment to work in an Agile development environment are important requirements for this position. As part of the storage development team the candidate will contribute to the design, development and optimisation of large scale data transfer and data storage solutions for the physics community at CERN and the World-Wide LHC Computing Grid (WLCG). The task will initially include the participation in the rota for the FTS service provided by the section and an active participation in the communication with experiment and external WLCG site responsible for planning the data management evolution. The required developments will then evolve following the future priorities of the group. • knowledge of the physics processing workflow and data management tools would be an advantage. As a part of the tape and backup teams, the successful candidate will contribute to the installation, configuration, operation, monitoring and support of CERN’s tape-based archive and backup services provided by CASTOR and IBM Spectrum Protect (formerly TSM). The role includes performing service interventions, resolve service unavailability incidents and escalating issues to developers and/or vendors. It also involves responding to user tickets and interacting with external service suppliers and support companies as necessary. Skills required include: In-depth knowledge of storage hardware (disk arrays, RAID, Fibre channel SAN), Linux admin and device drivers, experience with Python/shell scripting and automation/monitoring tools (Puppet/Kibana). The computing engineer will maintain and develop the existing portfolio of over 100 applications, manage licences, automate installations and provide end-user support for Windows, macOS, iOS and Android. At the same time, the engineer will create software tools and deploy 3rd party management solutions in line with the CERN’s Application Management Policy. Usability evaluation and application support: provisioning, packaging, deployment and maintenance of applications according to user requirements. In addition, this position requires experience in both web and mobile software development. The full-stack software engineer will be working on the development of new modules and functionalities for the Invenio Digital Library Framework and related services. Such a position requires a demonstrated experience with the full-stack web development of large software projects involving design and development of user interfaces, web application back-ends, front-ends and database schema management. It is also important that the selected person has some domain expertise in Digital Repositories, Preservation, Archiving and Record management. * Backend development: high expertise in python programming using Flask Framework. Experience writing REST APIs and with the following technologies: RabbitMQ, Celery and Flower. * Front-end development: demonstrated experience with web UI technologies and toolkits such as SASS, Twitter Bootstrap and AngularJS (or similar). It is a plus to have knowledge of user experience and usability practices. * Database/Repository design: experience with database management systems (PostgreSQL), object-relational mapping libraries (e.g. SQLAlchemy, Alembic) as well as Elasticsearch and Redis. * Configuration management: building/maintaining configuration templates & parameters (OpenStack, OpenShift is a plus); and also knowledge of container-based technologies (e.g. Docker). Note that this is an initial list established after the PoW discussions: at this stage the budgets are not confirmed yet; we are working on it. This means the posts that will be effectively opened may differ from what is announced below. Server and storage procurement technical responsible: Collect technical and capacity requirements from IT management and services as well as external stakeholders from the experiments and other departments. Plan and execute market surveys, tenders and price enquiries. Maintain tender technical specifications and questionnaires and assist operations team with logistics planning. Maintain assets inventory and help with the supervision of the repair contract. Manage contact with suppliers and manufacturers. Hardware engineer: Undertake sample evaluations in the tender process. Perform hardware problem management of systematic issues and provide support for server and storage hardware procured by the team to IT services and external stakeholders in experiments and other departments. Perform technology tracking, R&D and benchmarking of new products. Technical coordination and implementation of WLCG R&D activities: WLCG is beginning a programme of R&D to prepare the computing models for HL-LHC. There are several areas where IT should be leading the R&D activities. These include storage federation, data management evolution, common workload management, network developments, application performance and cost models and authentication/authorisation mechanisms for future federated structures. The role would be one of technical coordination and implementation between the various IT teams, the experiments, EP-SFT, and selected WLCG sites participating in prototyping work. Manage services on a day to day basis assuring highest possible reliability, security and confidentiality. This includes development, coordination and deployment of system components, as well as monitoring performance and availability whilst ensuring computing security. Experience with modern Java web application design, tools, processes and deployments is needed. Drive cloud technology adoption for CERN Java applications in public and private clouds. Study innovative approaches for deployment, design and evaluate the use of external providers as means of provisioning CERN applications. Perform continuous technological developments monitoring, share it with your peers and use it to identify services enhancement possibilities, and to ensure services continuity in the long-term. Provide support for the user community (providing third level / expert service support). Consultancy, assistance, support and advice to developer community on topics related with efficient use of CERN Java infrastructure and integration with other IT services. AARNet and CERN (the European Organization for Nuclear Research) recently signed a formal agreement which establishes a framework for ongoing collaborations to develop cloud storage technologies for the benefit of scientific and education communities globally. Both organisations share interests in enabling new and more efficient ways of collaborating to support international research endeavours, particularly around innovation for data storage, data transfer and data sharing. For the past two years, AARNet engineers have been collaborating with the CERN IT Storage Group to test distributed deployments of large-scale storage systems. The AARNet network’s capabilities for moving huge volumes of data across Australia’s vast continent is helping to inform research for advancing networking and data services for science. AARNet and CERN have also been collaborating to promote the creation of a community of cloud-technology adopters to share innovative solutions and operational best practices, co-organising events such as the CS3 (Cloud Services for Synchronisation and Sharing) conferences and workshops. Under the new agreement, the organisations will work together on developing solutions, such as the AARNet CloudStor service which is building on CERN’s EOS. The CERNBox and SWAN services will also be part of this collaboration. All these cloud-based services support the management of data storage, access and analysis for a range of users. EOS is a low latency heavy duty data storage infrastructure designed for the data deluge from Large Hadron Collider high energy physics experiments; CERNBox, is a cloud storage service meeting the unique needs of non-high-energy physics CERN users; SWAN, is a platform for performing interactive data analysis in the cloud via a web browser; and CloudStor is a data sharing and service with a wide range of research applications designed to meet the unique needs of the Australian research community. Identity Federation Manager for the Academic Community in the Departmental Infrastructure Group, Computer Security Team (IT-DI-CSO). With the steadily growing community of HEP institutes collaborating with CERN and contributing to joint projects (like the WLCG; cern.ch/wlcg) but also with the widening of CERN’s computing resources to other sciences (HelixNebula, e.g. CERN as a cloud service provider), the current model of providing every participant with a CERN computing account does not scale anymore. Instead, federated identities, i.e. computing accounts issued by individual universities and institutes themselves, which are subsequently permitted to access CERN’s computing resources are the best alternative currently. However, to embark on such an alternative, tight coordination of the technical implementation and related subjects like trust, vouching, security, data privacy and data dissemination (“attributes”) are necessary. Currently on-going activities in this domain are REFEDS (www.refeds.org), EduGAIN (www.geant.org/Services/Trust_identity_and_security/eduGAIN), AARC (aarc-project.eu), and Sirtfi (refeds.org/sirtfi) to name a few. The CERN Computer Security Team (cern.ch/security), which is mandated to secure and protect all aspects of the computing infrastructure of CERN as well as its operations and reputation against any kind of cyber-threats. As Identity Federation Manager in the IT department, you will liaise with universities, institutes and other relevant stakeholders worldwide in order to drive forward an efficient, flexible, trustworthy and secure enabling of identity federation accounts at CERN. This includes the deployment of the current policies, negotiation and implementation of new policies, and the co-ordination of any (other) aspect which enhances the trust, security, and data privacy principles within the corresponding federations. Close contact with the WLCG will also be beneficial since identity federations have strong similarities to the policy bodies governing the WLCG. As a Service Manager, you will be in charge of the implementation and integration of the different services and tools to fulfil the practical objectives of Federation: Integration with CERN Single Sign-on, integration of multifactor tokens when available, design and implementation of a new fine-grained authorization service taking into account Federated Identities, WLCG support, etc. As a member of the Computer Security Team, you are also supposed to participate in the CERN CERT (Computer Emergency Response Team) and contribute to the resolution of computer security incidents. Master's Degree in the field of Computer Science or related field, or equivalent. Proven capabilities in negotiating policies within an international collaboration of academic stakeholders, ideally already with a tight network of contacts within the international academic HEP community and/or the WLCG. Demonstrated experience in the computer security domain, on computer, network or software security, or as computer system administrator. Communicating effectively: Successfully changing other people's opinions by persuasive arguments; delivering presentations in a structured and clear way; adjusting style and content to the audience; responding calmly and confidently to questions; expressing opinions, ideas and suggestions with conviction and in a logical/structured manner; keeping to the point. Learning and sharing knowledge: Keeping up-to-date with developments in own field of expertise and readily absorbing new information; sharing knowledge and expertise freely and willingly with others; coaching others to ensure knowledge transfer; creating or participating in forums to exchange experience, comparing techniques and learn from others. Solving problems: Identifying, defining and assessing problems, taking action to address them; addressing complex problems by breaking them down into manageable components; adopting a pragmatic approach; understanding the value of adopting generic rather than 'gold -plated' technical solutions. Working in the interest of the Organization: Championing new initiatives within and beyond the scope of own job; promoting synergy and cooperation between the various parts of the Organization. Spoken and written English: ability to draw-up technical specifications and/or scientific reports, and/or to make oral presentations. Basic knowledge of French language or an undertaking to acquire it rapidly. If you are attracted by this post please discuss your interest directly with Stefan Lueders or Tim Smith (since the selected person will work closely with the IT-CDA Group too). Not for you? You can nevertheless help the Organization finding the right candidates by talking to your internal contacts and/or signing up for eqipia (link is external), our employee referral support tool which will make it easy for you to publicise these jobs in your network. Don’t hesitate to contact our HRA, Isabel Pumares Arguelles if you have questions or comments. Work with us to extend our data handling systems for the LHC physics programme and the whole of CERN. CERN is the birthplace of the world wide web and one of the world leading laboratories for particle physics! Join CERN's Storage Group in the IT department as a storage specialist for a unique challenge as the next step in your career! The CERN IT Storage Group (ST) is responsible to enable data access for the laboratory, most notably to archive, preserve over the long term and distribute to the worldwide scientific community the LHC experimental data. Today we operate a disk/tape hybrid system (CASTOR: cern.ch/castor optimised for archiving), several large disk farms (EOS: cern.ch/eos for data analysis) and user-oriented repositories (Linux home directory: AFS; cloud storage: CERNBOX). In total ST handles more than 200 petabyte of data across about 2,000 data servers (30,000 disks) and 20,000 high-capacity tapes. The present data infrastructure is being evolved to extend its functionality and rationalise its deployment. New access protocols (POSIX file access, WebDAV) have been added to simplify data access for our clients (Linux, Mac and Windows), to increase the user experience (disconnected operations, cloud synchronisation, flexible web access) and to enable new way to process data combining local access, batch processing and web-based data systems. The next phase is the migration in the new infrastructure (including the AFS phase out for Linux users and absorbing some of the DFS usage of Windows users). The primary focus of the activity will be to bring in production a uniform multi-platform data access. The selected candidate will contribute to the operation and support activities of the Filesystems and Data Operations (FDO) section. Contribute to the validation and testing of the new system. Prepare the roll out of the new system and support it the massive adoption phase, mainly from AFS and to a certain extent from DFS. Contribute to the development of the tools and procedures to facilitate the migration into the new system. Install, operate and support the software components of the FDO services, as well as participate to the on-call duty (support and incident response). Bachelor's degree in the field of Computing (or equivalent). Kerberos based authentication, Public Key infrastructure and X-509 certificates. Good knowledge of English is required; Ability to draw-up technical specifications and/or scientific reports and to make oral presentations. Basic knowledge of French or an undertaking to acquire it rapidly. If you are attracted by this post please discuss your interest directly with Massimo Lamanna. Take an active role in the smooth running of compute intensive services for CERN. Provide the infrastructure and tools for analysis of the data from the Large Hadron Collider and other experiments! Either the Resource Provisioning Section (RPS), responsible for providing compute and service infrastructure for CERN or the Infrastructure Services Section (IS), responsible for delivering the compute intensive services for CERN and the Worldwide Computing Grid. As a Computing Engineer in the IT-CM group, you will maintain and evolve the CERN compute services across a wide range of technologies including large private and public cloud facilities, compute intensive batch systems and high performance clusters. Please note we are looking for 3 profiles in this Vacancy, therefore not meeting all requested experience will not be a reason for disqualification. Communicating effectively: Expresses opinions, ideas and suggestions with conviction and in a logical/structured manner. Building relationships: Delivers prompt and efficient service taking into account customer needs. Solving problems: Produces a range of innovative and workable solutions. Demonstrating flexibility: Readily adjusts plans and priorities to respond to changing circumstances. Working in teams: Builds and maintains constructive and effective work relationships. Spoken and written English: Ability to draw-up technical specifications documentation and/or scientific reports. Basic knowledge of French or an undertaking to acquire it rapidly. If you are attracted by this post please discuss your interest directly with Tim Bell. Are you an experienced web architect/developer? Does contributing to the improvement of an advanced Network and Telecoms infrastructure and providing automation solutions for its effective management, attract you? Do you enjoy working on several layers of the software stack? Join CERN's Communication Systems group and make your mark: Take part! The Communication Systems (CS) Group, responsible for the Networking & Telecommunications Infrastructure (voice and data) of the Laboratory. In terms of networking, the Group is responsible for a Campus network making use of state of the art technologies to support over 60,000 fixed and Wi-Fi clients, a high-performance data centre network for over 10,000 servers and a high-reliability dedicated network supporting infrastructure critical to the operation of CERN’s accelerators. The Group also operates CERN’s fixed telephone system (10'000 connections), dedicated GSM infrastructure (6'000 mobiles) and TETRA radio communication system. The Communication Tools (CT) Section, a team of passionate software developers in charge of the design, development and maintenance of the software suite used to model, configure, support and manage all of CERN’s network and telecommunication infrastructures. Maintain and further develop the IT/CS web interfaces used by all CERN users to request network/telephony changes. Together with the other members of the team, participate in the design and development of new modules for the internal IT/CS network and telecom management framework, such as network and IP telephony automation/provisioning. Promote and develop the procedures and tools to further increase the quality of the produced software: enhance the CS continuous integration and automated testing frameworks. Propose and implement changes in our database model and network APIs in order to support service integration solutions in the CERN data centers. Stay up to date on latest software technology trends. Demonstrated experience in software development life cycle: unit testing, continuous integration, version control, documentation. Database design and working knowledge of SQL. User-centric design principles and methodologies. Understanding of TCP/IP addressing and networking. Software development process improvement: Agile methodologies, continuous integration, software reviews. Solution architecture: requirements specification collection and analysis, proposal for new software architectures. Database/Repository design: development tools, specification, design and maintenance of mechanisms for modelling large and complex infrastructures. Application support: provide specialised 3rd line support to business specialists. Solving Problems: having a disciplined approach to analysing complex data and situations. Learning and sharing knowledge: sharing knowledge and expertise freely and willingly with others, proposing ways to improve or streamline existing procedures, processes and methodologies. Managing self: working well autonomously, taking on activities without prompting. Working in teams: contributing to promoting a positive atmosphere in the team through an optimistic and constructive attitude. Spoken and written English with the ability to draw-up technical documentations and specifications and to make oral presentations. Basic knowledge of French or an undertaking to acquire it rapidly. If you are attracted by this post please discuss your interest directly with Tony Cass. Are you a talented network engineer? Does contributing to the improvement of an advanced campus network with high-speed, worldwide connections sound attractive? Join CERN’s Communication Systems Group and make your mark. Take part! The Communication Systems (CS) Group, responsible for all aspects of network and telecommunication provision at CERN. We support a campus network (fixed and Wi-Fi) with over 60,000 active devices, a 19.2 Tb/s non-blocking switching fabric for a data centre with over 10,000 servers, 4,000 of which with 10Gb/s interfaces, and external connections including three trans-border 100 Gb/s circuits. The Communication Engineering (CE) Section, responsible for designing, building and managing the Network infrastructure that supports the computing facilities and services of the laboratory as well as transferring the colossal volumes of LHC data to and from the data centre. The CE section is also responsible for critical network services such as DNS, DHCP and NTP. Develop and maintain software tools and administrative procedures. Master’s degree in the field of Computer Science or Telecommunications, or equivalent. dealing with network device manufacturers and their support teams. Demonstrated experience of Linux system administration with knowledge of Bash and Perl or Python programming. Knowledge of Wi-Fi technologies would be an advantage. Solving Problems: Identifying, defining and assessing problems, taking action to address them. Recognizing what is essential; discriminating between important and peripheral information and being able to see the whole picture. Addressing complex problems by breaking them down into manageable components. Achieving Results: Delivering high quality work on time and fulfilling expectations. Having a structured and organised approach towards work; being able to set priorities and plan tasks with results in mind. Objectively assessing and monitoring own work; regularly reporting on progress and advising of any changes in schedule or priorities. Communicating Effectively: Delivering presentations in a structured and clear way; adjusting style and content to the audience; responding calmly and confidently to questions. Ensuring that information, procedures and decisions are appropriately documented. Providing others with timely information. Learning and Sharing Knowledge: Keeping up-to-date with developments in own field of expertise and readily absorbing new information. Sharing knowledge and expertise freely and willingly with others; coaching others to ensure knowledge transfer. Creating or participating in forums to exchange experience, comparing techniques and learn from others. Managing Self: Working well autonomously; taking on activities and tasks without prompting. Taking initiative beyond regular tasks and making things happen. Are you an experienced Software Engineer who enjoys innovative Full-stack Web Development? Take an active role in development and service management, joining a dynamic team using cutting edge technologies, for a large open source project used by thousands of users every day all around the world. Work at the heart of digital research publication and archival at the largest particle physics lab in the world: CERN. You will join the Digital Repositories (DR) Section which is responsible for activities related to archival, preservation and dissemination of CERN’s research. DR leads the development of Invenio http://invenio-software.org/, an Open Source Digital Library Framework that is used at CERN, and world-wide by many partners, in order to run services like Institutional Repositories, Integrated Digital Libraries, Research Data Repositories and Multimedia Archives. DR also develops and maintains the CERN Document Server (CDS) - CERN’s institutional repository (archiving articles, data, photos, videos, audio, etc) and collaborates in several cross-CERN projects (e.g. CERN Open Data Portal and CERN Analysis Preservation) and EU projects (e.g. OpenAIRE/Zenodo and EUDAT/B2Share). possibly supervising short-term team members. Experience with user relations, user support, user training, user requirements definition. Front-end development: Demonstrated experience with web UI technologies; Experience with toolkits such as SASS, Twitter Bootstrap and AngularJS is a plus; Knowledge of User Experience and Usability practices. Database/Repository design: extensive experience with Database Management Systems (PostgreSQL in particular) and Object-Relational Mapping libraries (e.g. SQLAlchemy); Experience with Elasticsearch and Redis is a plus. Configuration management: experience building and maintaining configuration templates and parameters (OpenStack and Puppet is a plus); Knowledge of container-based technologies and platforms (e.g. Docker, OpenShift) is also a plus. Solving problems: identifying, defining and assessing problems, take action to address them; producing workable and timely solutions that meet requirements; testing solutions for long-term suitability, cross-checking with all concerned before implementation. Working in teams: contributing to promoting a positive atmosphere in the team through optimistic and constructive attitude; supporting and acting in accordance with team decisions; accepting joint responsibility for team successes and shortcomings. Communicating: delivering presentations in a structured and clear way; adjusting style and content to the audience; responding calmly and confidently to questions. The language competencies required for this post are: Good knowledge of English is required; basic knowledge of French or an undertaking to acquire it rapidly. If you are attracted by this post please discuss your interest directly with Jose Benito Gonzalez Lopez or Tim Smith. Computer Hardware Engineer in the Computing Facilities Group (CF), Facility Planning and Procurement Section (FPP). Are you interested in Computer Hardware? Does taking technical responsibility for procurement and deployment processes of hundreds of servers and storage systems/devices for Linux and Windows challenge you? This is a good opportunity to join the team responsible for the 11’000 servers and 230 petabytes of disk storage currently deployed in the CERN IT Computing Facility. You will be involved in the procurement of hundreds of servers and tens of petabytes of disk storage yearly for the Worldwide LHC Computing Grid Tier-0 centre at CERN as well as for the many services run by other groups in CERN IT and its associated remote hosting centre at the Wigner institute in Budapest, Hungary. Also, testing and integration of new technologies such as the hardware available through the Open Compute Project (OCP, http://www.opencompute.org/) will be part of your activities. Experience with competitive tenders at CERN or other publicly funded organisations is an asset. - Demonstrating Accountability: Maintaining confidentiality; Working conscientiously and reliably; delivering on promises; Standing up for own opinion and actions with well substantiated arguments. - Communicating Effectively: Providing others with timely information; Delivering presentations in a structured and clear way; adjusting style and content to the audience; responding calmly and confidently to questions; Leveraging support networks across the Organization. - Working in Teams: Working well in groups and readily fitting into a team; participating fully and taking an active role in team activities; Building and maintaining constructive and effective work relationships; Gaining trust and collaboration from others. - Solving Problems: Identifying, defining and assessing problems, taking action to address them; Finding the information needed to solve problems; making objective judgments based on all the facts available; Adopting a pragmatic approach; understanding the value of adopting generic rather than ‘gold -plated' technical solutions. - Learning and Sharing Knowledge: Sharing knowledge and expertise freely and willingly with others; coaching others to ensure knowledge transfer; Actively pursuing own personal and professional development; Taking steps to expand knowledge in other areas of expertise beyond own field. If you are attracted by this post please discuss your interest directly with Olof Barring or Wayne Salter. Not for you? You can nevertheless help the Organization finding the right candidates by talking to your internal contacts and/or signing up for eqipia , our employee referral support tool which will make it easy for you to publicise these jobs in your network. A Software Engineer (Web Applications) in the Collaboration, Devices & Applications Group, Integrated Collaboration Section, to work on the consolidation of the Indico application and the development of new modules and functionalities for its users, as well as the configuration, deployment and maintenance activities of the Indico service at CERN. In this job, providing support and training sessions to Indico users will be an excellent opportunity to deploy your expertise and put into practice your Communication skills, at the same time that you keep developing your technical competencies. In addition, you will manage external code contributions following an Open Source development model. This is an important job to support the site-wide conference and collaboration infrastructure! Experience in the development of large software projects, preferably for the web, involving design and development of user interfaces, web application back-ends and database schema management. Experience with user relation, user support, user training, user requirements definition. Experience in service deployment, configuration management and operation, usability requirements analysis and requirements definition and management. Ideally experienced with the Flask web framework and working in Open Source or otherwise geographically-distributed software projects, container-based technologies and platforms. If you are attracted by this post please discuss your interest directly with Thomas Baron or Tim Smith. Not for you? You can nevertheless help the Organization finding the right candidates by talking to your internal contacts and/or signing up for eqipia, our employee referral support tool which will make it easy for you to publicise these jobs in your network. Congratulations to the CERN IT team in charge of the public procurement of OCP (Open Compute Project) for their Datacenter Dynamics EMEA Award in the Open Data Center Project catagory! Storage Developer/ Engineer in the Storage Group (ST), to participate in the design, development, maintenance and optimization of the various data and storage management products of the group. Product documentation, testing infrastructure and in service design discussions will be essential parts of this job, which will also include interaction with end-users as part of the level-4 support. The post will allow to participate actively in strategic development collaborations of the group such as the XROOT project and the development collaboration as part of Openlab projects. If you have excellent object-oriented design, development skills in C/C++, great understanding of system level disk and network I/O and multi-threading concepts, practical understanding of the Linux operating system administration and in depth skills in UNIX shell script, Perl or Python programming, this might be the next job for you! If you are attracted by this post please discuss your interest directly with Dirk Duellmann or Alberto Pace. Full vacancy notice available here. An article will also be published in the upcoming Bulletin and a conference will be organised in the main auditorium at the end of January 2017 (exact date to be confirmed) as well as a one-week exhibition. A storage developer/ Engineer in the Storage Group (ST), to manage the tape-based archive and backup services provided by CASTOR and TSM. The evolution, redesign and development of the tape archive software as well as its integration in the wider portfolio of storage solutions (in particular EOS) are also part of the role. If you have good knowledge of Linux operating system administration (RedHat Enterprise Linux), a solid experience in UNIX shell scripting and Perl or Python programming, C/C++ development and are attracted by this post, please discuss your interest directly with German Cancio Melia or Alberto Pace. Not for you? You can nevertheless help the Organization finding the right candidates by signing up for eqipia, our employee referral support tool which will make it easy for you to publicise these jobs in your network. A network and telecom support technician in the IT-CS group. This role focuses on ensuring reliable telephony and network services by monitoring, problem-solving and -dispatching, organising interventions and continuously improving processes and procedures. If you feel strongly about delivering service, and have some field experience or are eager to learn on the job, interacting with experts, you may want to talk to Gyorgy Balazs. A system and web engineer for the Database services group, to support critical web-based applications and databases throughout their full life-cycle. You will support the service providing 3rd level support, new developments and deployments, and improving performance. All of this whilst maximizing automation and ensuring computing security. If you enjoy working on critical applications, interacting with peers and developers, and enjoy Java programming, make the effort to check it out in more detail by contacting Artur Wiecek or Eric Grancher. Do not hesitate to send your questions or comments to our HRA, Lore Taillieu. The registration is now open for CERN IT Create, a two-day event to unleash ideas and to challenge your creativity! This event will take place on 17th and 18th March 2016 and will be hosted at IdeaSquare (building 3179). The objective is to brainstorm and work in teams to design and produce the first prototypes of an exhibit to enhance the experience of the public visitors to the CERN data centre building. It is possible to take part in one of the four pre-defined projects or to register for an 'open' project. The event is open to anyone from the CERN IT department available on 17th and 18th March during working hours. Up to eight teams of about 4 to 6 people will be collaborating over two days and will receive guidance from experts, design professionals and artists from the Arts@CERN programme. People who cannot participate for the two full days but would like to join are also welcome to register as 'experts on call' (just mention the areas of expertise you are happy to contribute to projects; may take approximately two hours of your time the second day of the workshop). The first milestone of the OpenCloudMesh (OCM) project was reached during the Cloud Services for Synchronisation and Sharing (CS3) workshop, organised by CERN on 18-19 January 2016 in ETH Zurich, Switzerland. To know more please check the article published on the GEANT website. The architecture course offers a comprehensive overview of current topics in computer architecture and their consequences for the programmer: from the basic Von Neumann schema to its modern-day expansions. Understanding hardware-software interaction allows us to better use all features of available computer hardware and compilers. Specific architectural features are discussed (such as execution ports, branching algorithms, etc), as well as instruction sets, compilers, memory operation and architecture, fundamentals of floating point and acceleration. Hands-on labs are included. The parallelism course dives into a wide range of parallel programming techniques, whether data- or task-parallel. We start with an overview of patterns, look at trade-offs, pitfalls and available parallel programming environments – with a particular focus on OpenMP4, Threading Building Blocks and Cilk. The last day is an advanced class devoted to fine-tuning and balancing parallel programs using modern frameworks, runtimes and APIs. Hands-on labs are included. Both courses, taught by Andrzej Nowak, are organised in cooperation with CERN openlab and are sponsored by the CERN IT Department – there is only a nominal registration fee of 50 CHF. Registrations can be made through EDH and the CERN training catalogue. La conférence sera donnée en anglais et traduite en français. Le CERN peut sans aucun doute être décrit comme l’un des projets scientifiques les plus ambitieux jamais entrepris. Depuis 60 ans, les États membres ont non seulement investi des sommes importantes pour financer une institution, mais aussi un programme de recherche visionnaire. Cela a contribué à changer la façon dont les recherches sont menées, un changement que l’on résume par l’appellation « big science ». Cependant, cette forme de projets de recherche à grande échelle soulève également un certain nombre de questions fondamentales : que signifie « faire de la recherche » aujourd’hui ? Qu’est-ce qui a changé ? Qu’est-ce qui justifie un tel engagement de la société et un tel soutien pour un projet scientifique si long et si coûteux ? Enfin, de quelle manière les recherches menées au CERN ont contribué, et contribuent encore, au développement de la société contemporaine ? En se basant sur quelques exemples clés, cette conférence examinera de quelle façon la recherche a changé, et comment les relations entre la science et la société ont évolué depuis la création du CERN. Cela nous permettra de mieux comprendre les multiples liens qui existent entre la recherche et la société contemporaine. Ulrike Felt est directrice du département d’études scientifiques et technologiques, au sein duquel elle occupe un poste de professeur, et vice-doyenne pour la recherche de la Faculté des sciences sociales de l’Université de Vienne. Elle possède un doctorat de physique/mathématiques et une habilitation en sociologie des sciences et études scientifiques et technologiques. Ses recherches et ses nombreux articles portent sur la gouvernance, la démocratie, et la participation du public aux technosciences, tout en se penchant sur l’évolution de la culture de la recherche, ainsi que sur le rôle du temps dans les questions liées à la science et la société. Elle s’attache souvent à comparer différents contextes nationaux, mais aussi les domaines technologiques et scientifiques, notamment les sciences de la vie, la biomédecine et les nanotechnologies. Professeure invitée dans de nombreuses universités, elle a été sollicitée en tant que consultante par la Commission européenne et par des organismes nationaux. De juillet 2002 à juin 2007, elle a occupé le poste d’éditrice en chef de la revue internationale spécialisée Science, Technology, & Human Values. Tuesday 15 July 2014 at 7:30 p.m. Without any doubt, CERN can be described as being among the most ambitious scientific enterprises ever undertaken. For 60 years, the Member States have not only invested considerable financial means into this institution, but have also supported the creation of a highly visionary research programme. And this has led to a change in the way science is done, as captured by the idea of "big science". Yet this naturally also raises a number of quite fundamental questions: How did the meaning of "doing science" change? What justifies societal engagement with and support for such a cost-intensive long-term scientific undertaking? And finally, in what ways does (and did) this research enterprise contribute to the development of contemporary societies? By focusing on some key examples, the talk will thus explore how the ways of doing research and scientific and societal relations have undergone change over the history of CERN. This will allow an understanding of the many ways in which the development of research and contemporary societies are intertwined. 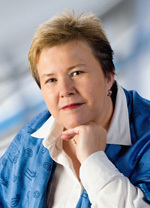 Ulrike Felt is Professor of Science and Technology Studies, Head of the STS Department and Vice-Dean for Research of the Faculty of Social Sciences at the University of Vienna. She holds a PhD in Physics/Mathematics and a habilitation in Sociology of Science/Science and Technology Studies. Her research interests gravitate around issues of governance, democracy and public participation in technoscience, changing research cultures, and the role of time in science and society issues. She has published widely in these fields. Her work is often comparative between national contexts and between technological or scientific fields (especially life sciences, biomedicine and nanotechnologies). She has been an invited professor at numerous universities and has been involved in policy advice to the European Commission as well as to national bodies. From July 2002 to June 2007 she was editor-in-chief of the international peer-reviewed journal Science, Technology, & Human Values. This is a test from the IT website noticeboard. Please ignore. Thursday 22 May 2014 at 7:30 p.m.
Bob Jones is head of the CERN openlab project (openlab.cern.ch) which is a unique public-private partnership between CERN and leading ICT companies. Its mission is to accelerate the development of cutting-edge solutions to be used by the worldwide LHC community. Bob is a member of the management team of the Helix Nebula – the Science Cloud initiative (http://www.helix-nebula.eu/), a public private partnership to explore the use of commercial cloud services for science applications. Bob joined CERN in 1986 as a software developer providing support for the physics experiments running on the now dismantled Large Electron Positron (LEP) particle accelerator. He has been involved in several research projects for the LHC accelerator and has held the position of leader of the online software system for the ATLAS experiment (http://www.atlas.ch/) at the LHC. His experience in the distributed computing arena includes mandates as the technical director and then project director of the EGEE projects (2004-2010 http://www.eu-egee.org), which established and operated a production grid facility for e-Science spanning 300 sites across 48 countries for more than 12,000 researchers. On parle souvent du CERN comme le « berceau du web ». Le web a changé notre société en profondeur et a contribué à la création de nouvelles industries globales. Le web a vu le jour parce que ses créateurs avaient un problème précis à résoudre qu’ils ont considéré comme un défi de la technologie de l’information. Le programme scientifique du CERN s'est depuis développé, créant de nouveaux défis tels que la gestion de la montagne de données produites par le Grand collisionneur de hadrons (LHC). La capacité de faire face à ces questions a contribué au succès du LHC et à la découverte de la particule de Higgs. Cette conférence publique abordera certaines de ces questions, la façon dont elles ont été résolues et l’impact qu’elles ont au-delà de la physique, et en fin de compte, sur la société entière. Bob Jones est responsable du projet CERN openlab(openlab.cern.ch), un partenariat unique en son genre entre le CERN et des entreprises privées spécialisées dans les technologies de l'information et de la communication. L’objectif de ce projet est de stimuler le développement de solutions de pointe utiles à la communauté LHC du monde entier. Bob est aussi membre de la direction du projet Helix Nebula – the Science Cloud (http://www.helix-nebula.eu/), un partenariat public-privé qui explore l’usage de services commerciaux en nuage pour des applications scientifiques. Bob a rejoint le CERN en 1986 en tant que développeur de logiciels, pour apporter son appui aux expériences de physique menées auprès du Grand accélérateur électron-positon (LEP), aujourd’hui démantelé. Il a également participé à de nombreux projets de recherche pour l’accélérateur LHC et a été responsable du système de logiciels en ligne pour l’expérience ATLAS (http://www.atlas.ch/) du LHC. Son expérience en infrastructures de calcul distribuées comprend des mandats en tant que directeur technique d’abord, puis en tant que directeur, des projets EGEE (Enabling Grids for E-sciencE) qui ont créé et exploité une infrastructure de grille de production couvrant 300 sites dans 48 pays différents, et utilisée par plus 12 000 chercheurs. This is the second announcement of the Olympus Scientific Solutions Seminar which will take place on May 7 at the CERN Council Room. If you have not done before please REGISTER your participation here: https://indico.cern.ch/event/312713/ and have a look to the agenda mostly dedicated to an overview of major R&D applications using latest Olympus leading-edge inspection and measurement solutions including Endoscopy, Remote Visual Inspection, High Speed Video, Phased Array Ultrasound and X-Ray Fluorescence. In the afternoon it will be possible to see and play with all these instruments during applications hands-on with Olympus experts! "Diversity in Action" is an interactive half-day workshop designed to creatively explore the meaning and importance of diversity at CERN, in support of the Organization’s value of “appreciating differences, fostering equality and promoting collaboration”. "Exploring the Structure of Massive On-Line Networks"
"Inference for Networks and Networks for Inference"
Please note that the GIS mapping portal https://maps.cern.ch/mapsearch/ now shows the showers at CERN. See the list of showers and the search procedure in the attached documents. Please find hereafter details of the final intervention by Collide@CERN choreographer in residence, Gilles Jobin. Thanks to the anti matter experiments, there will be an intervention this coming Wednesday in Building 193 between 12.30-1400. Renovation work on the toilets and showers in b.28 starts this week (w/c 9 July 2012). Please note that the toilets on all 4 floors and the basement showers will be no longer accessible for around 3 months, until ~mid October. If you are keeping any items in the shower room (e.g. towels, products, bicycles), please remove them by the end of the week. Temporary toilets have been installed at the "R2-side" exit of 28-R. Alternative shower locations can be found here. If you require any further information, please contact the b.28 TSO Jean-Francois Pernot. IT Summer BBQ Party - June 27, 2012 ! With summer approaching and everyone preparing for the summer holidays, we propose a big “get together” of the IT Staff and their colleagues at an IT Summer BBQ Party! In order to optimize the preparation, please reply before June 15th to: http://www.doodle.com/k63rpy9ge7yc6s4t. Please note that this invitation extends to partners. We will ensure that there are a few other activities like volleyball and others. For any suggestion, please contact: bruno.lenski@cern.ch. Wednesday 27th June 2012, as of 5PM - “Picnic area” in Prévessin. I hope you can make it !!! Avec l’arrivée de l’été et tous se préparant pour les vacances, nous vous proposons de nous retrouver tous ensemble pour un Barbecue IT ! Afin de pouvoir préparer au mieux, merci de répondre avant le 15 Juin via http://www.doodle.com/k63rpy9ge7yc6s4t. A notez que cette invitation s’adresse également à vos conjoints. Quelques activités seront proposées telles que du volleyball et autres. Message from GS: If you have any Dispobox, please bring them back to the Swiss Post Office (main building on Meyrin Site). You may express your interest for the different proposals, as well as submit comments or suggestions. Your feedback is extremely important to tune the programme and keep it of interest for the CERN community. Academic Training taking place in May - please book your agendas! 21 May - Sebastian Lopienski, "Computer Security: Introduction to information and computer security (1/4)"
22 May - Remi Mollon, "Computer Security: Cryptography and authentication (2/4)"
23 May - Antonio Perez Perez, "Computer Security: Computer security threats, vulnerabilities and attacks (3/4)"
24 May - Stefan Lueders, "Computer Security: Security operations at CERN (4/4)"
30 May - Belmiro Rodrigues Moreira, "Cloud Computing (1/2)"
31 May - Belmiro Rodrigues Moreira, "Cloud Computing (2/2)"
The IT DB is pleased to announce a new series of Oracle tutorials with the proposed schedule. Note that these tutorials will take place in the Filtration Plant (Building 222) and that no registration is required. The objective is to go through Oracle database physical and logical structures, highlighting the consequences of some of Oracle's internal design choices for developers of database applications. The presentation defines Oracle-related basic terms and illustrates them based on the database architecture. The primary goal of this presentation is to show how to design a scalable application using Oracle that performs. We will start with schema design that allows storing the data in a way that is efficient, scalable and makes those data easily retrievable. In that part focus will be put on ER model and best practices in schema design. Later we will explain in detail SQL statement processing, with a number of tips/and tricks. The last part will talk about building a robust application using privileges, different connection types and a number of other features. During the Database Security Tutorial we will focus on Oracle Database security from the developers' point of view. We'll cover a few topics, including authentication, roles and privileges, auditing, encryption and SQL injection attacks. SQL (Structured Query Language) is a programming language designed for managing data in relational database management systems. The aim of the tutorial is to provide an overview of the SQL language basic capabilities and several selected advanced SQL features available in the Oracle Database Management System. The main part of this tutorial will focus on the use of advanced SQL such as: complex queries, analytical functions, set operators, views and temporary tables, materialized views, indexes and partitioning. PL/SQL is Oracle's procedural extension of SQL. In this tutorial we will present the basic concepts behind PL/SQL and the general appearance of a PL/SQL program, covering general structure, control statements and basic units of the PL/SQL language. We will then focus on best scripting practices -things that each developer should know in order to write efficient code and avoid common traps. In this session, you will learn how to understand what prevents your application from running as fast as you would like (wait event, SQL monitor, Oracle Enterprise Manager, etc.). In the second part, we will share some indications on how to improve the performance (execution plan, table and index statistics, hinting, SQL baseline, etc.). You will also learn the key points of how to address complex performance issues in a systematic way and to address performance issues in a quantitative way. A few examples and common pitfalls will be presented. This tutorial provides an introduction to common Oracle database administrative tools: how they work, how to install and configure them, how efficiently we can use them. We’ll also provide some practice examples of usage. We will cover the following tools: PL/SQL Developer, rlwrap, Benthic Software – (Golden 6.0) and SQL Developer. The second part of this presentation will address the topic of language bindings, including OCI, OCCI, JAVA, Perl and Python, for example. For more information, please see the Indico page. Welcome to your new IT website! We are very pleased to announce the launch of the new IT website on 10 April 2012! The aim is to replace many of the existing (and often out-dated) IT sites, and in particular the information content will be actively managed. Content editors have been identified, and have an active responsibility to maintain their pages. It will take some time to move some of the asociated websites into the new structure, but we believe that deploying the new site now will already bring benefits. You will see that the site has been separated IT Staff content from User content. This is to ensure that the right information is clearly targeted to the appropriate audience. This 'Noticeboard' page that you see directly under 'For IT Staff' will contain administrative and informative notices for staff (eg news relating to travel, meetings, department-wide socials etc). The rest of the site should be fairly intuitive. We hope this new site responds better to your needs and helps you find what you want, faster. Please do not hesitate to provide feedback - it will help us improve the site to help you. There is a Feedback link at the bottom of the page; alternatively e-mail it-webmaster@cern.ch and we will get back to you as soon as possible.